Last week Jimmy and I went on a long ride on the ATV in Eastern California and Nevada. 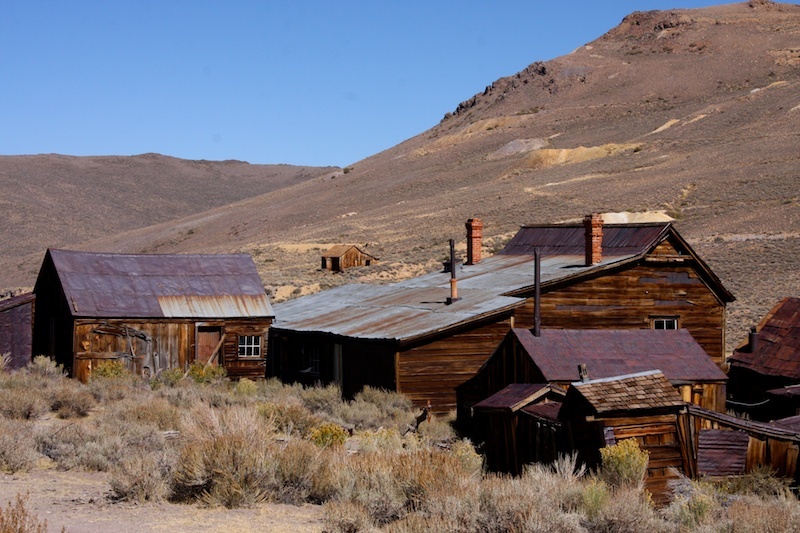 The area is very remote but in 1859, gold was discovered and the small mining town of Bodie, named after W.S. Bodey, was built. 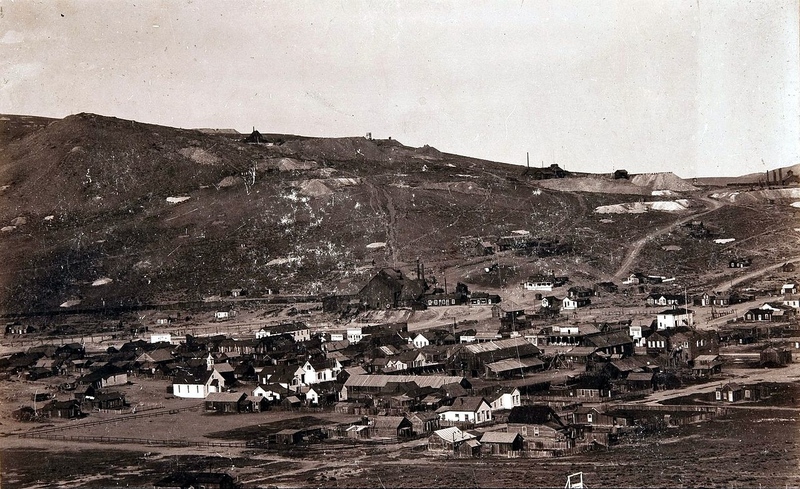 However, it wasn't till 1876 that the town became a 'boomtown' and grew rapidly. It became infamous for wickedness and badmen. Killings occurred regularly, almost on a daily basis. It was known as the "worst climate out of doors" and can still be described as that. At an elevation of 8400', winters see subzero temperatures, an average of 93" of snowfall per year and 100 mph wind is not unusual. Summer days can be hot, yet nights are very cold, often falling below freezing. 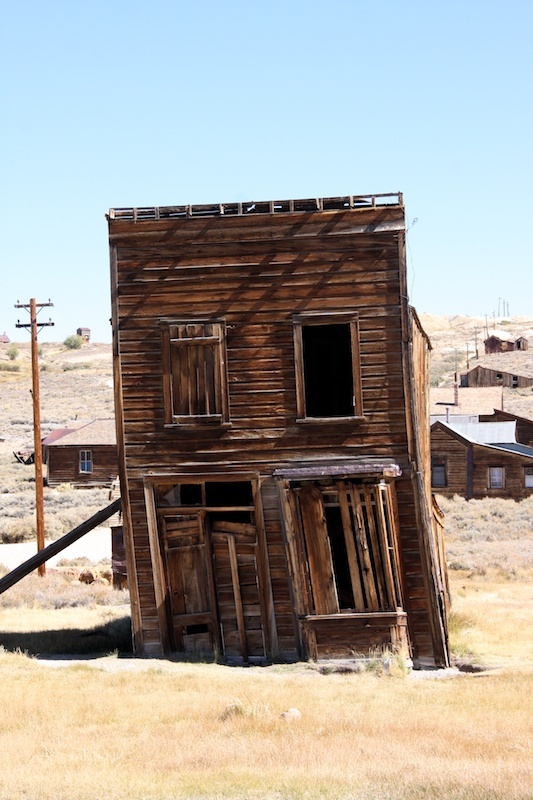 The town went through many ups and downs in population through the late 1800s, but in 1915 it was labeled a ghost town, though it still had a few dozen permanent residents. 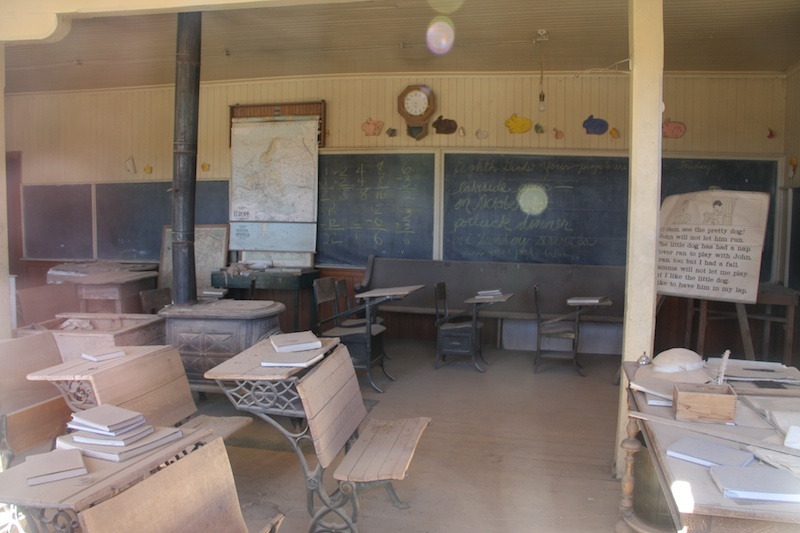 In 1962, it became a State Historic Park but only about 5% of the buildings remain compared to what it had in its heyday. 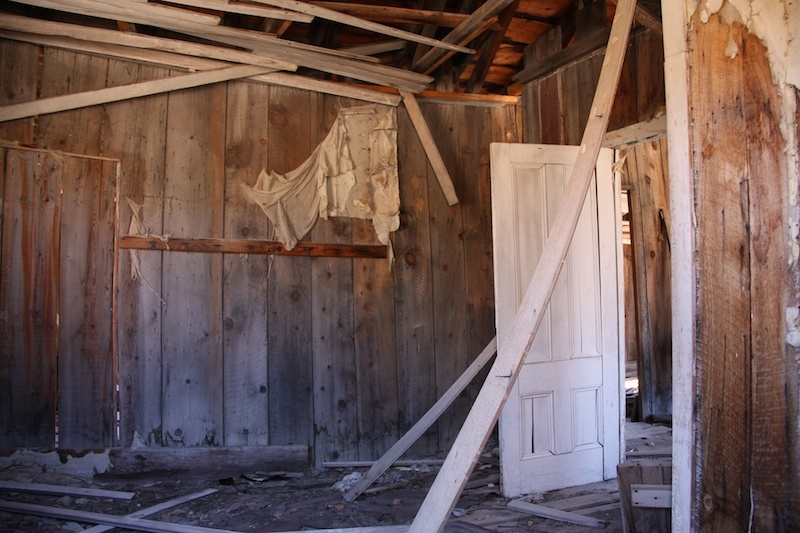 The remaining buildings are kept in a state of 'arrested decay' meaning that the structures will be maintained, but only to the extent that they will not be allowed to fall over or otherwise deteriorate in a major way. 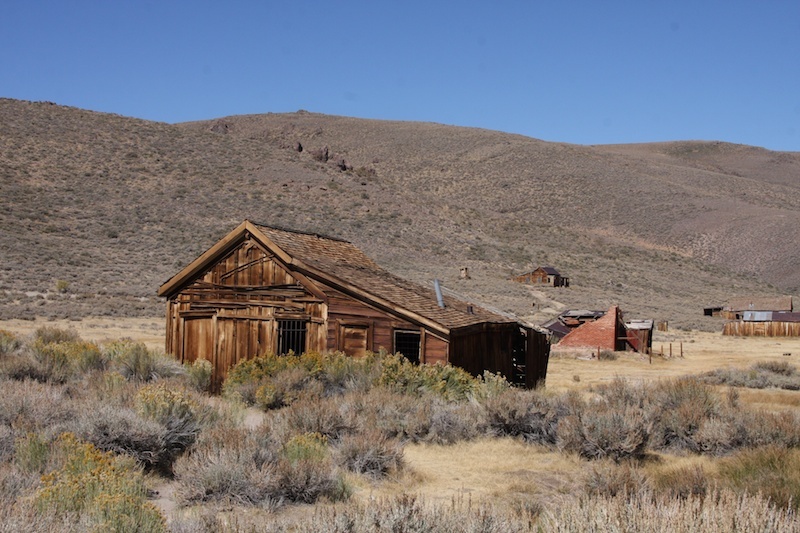 During our ride, we approached Bodie from the north. From here we could see how exposed it was to the elements and how much they had excavated the surrounding hillside. We entered though the back way, but had to drive up to the main entrance to pay the fee. 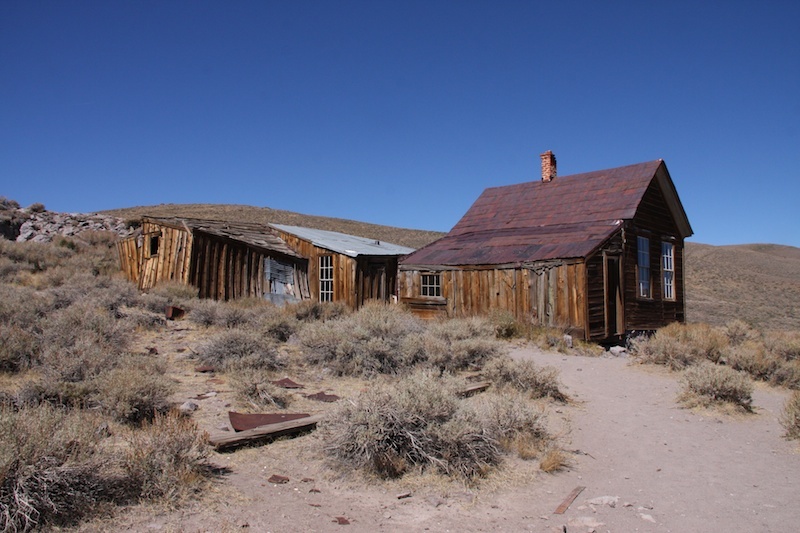 The sign says "Bodie State Historic Park Elevation 8375 feet". 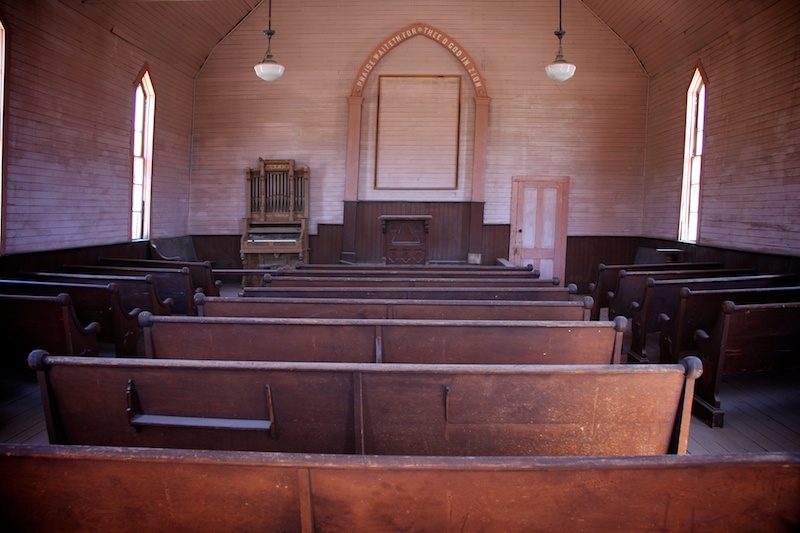 The Methodist Church was built in 1882 and is the only church still standing. The last service was in 1932. James Stuart Cain residence. 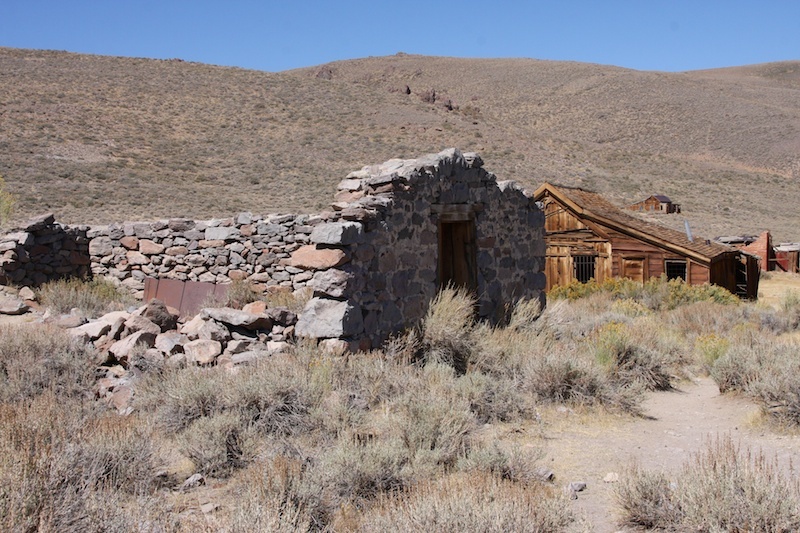 Cain came to Bodie when he was 25, entered the lumber business transporting lumber to the mines via barges he built on Mono Lake. Later he expanded into wagon and railroad freighting. 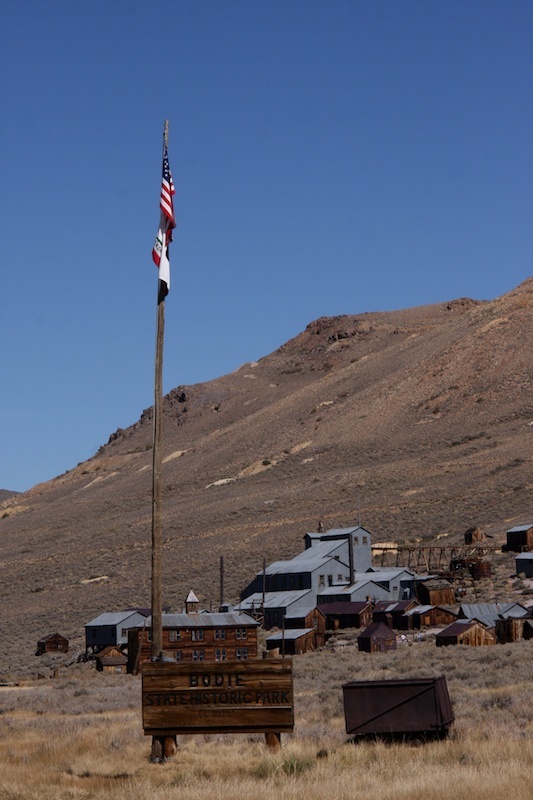 He eventually acquired the Standard Mine and Mill and became the town's principal property owner. Kirkwood house and barn. Kirkwood owned the main stable. Metzger House. 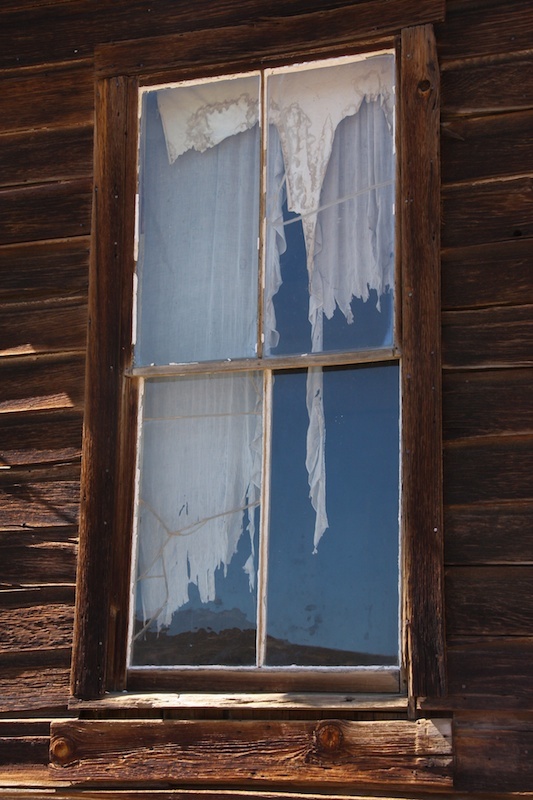 Henry Metzger came to Bodie in 1878 from New York and worked at the mill till 1916. Two of his seven children were born in this house. Looking out towards Maiden Lane. That far building was on Maiden Lane or "Virgin Alley". 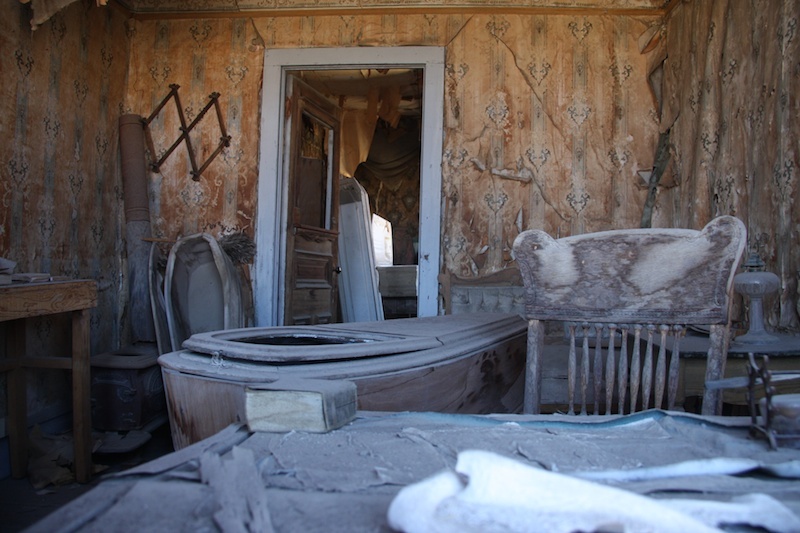 Ladies of the night lived and worked here in a row of one-room cabins. Chinatown. There were several hundred Chinese residents who peddled vegetables, operated laundries and cut, hauled and sold firewood. They maintained their separate customs and traditions. 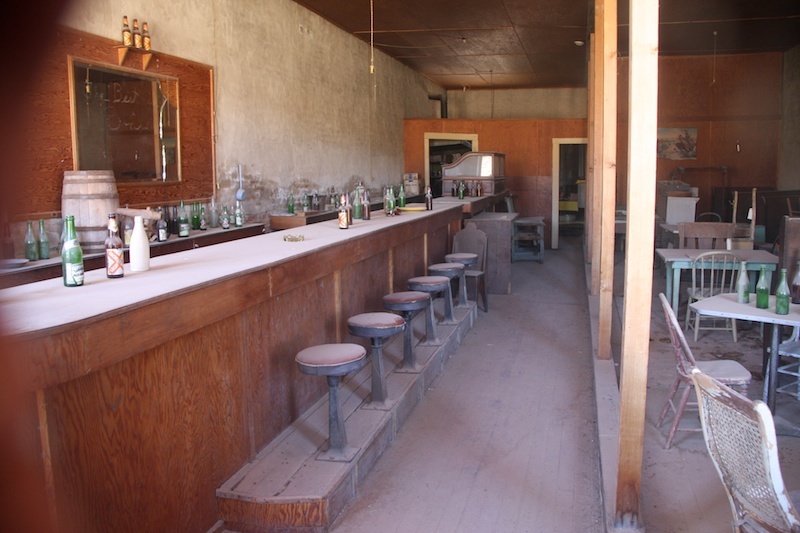 They had their own general store, saloon, gambling halls and Taoist temple but the Opium parlors were open to both Chinese and Caucasian alike. 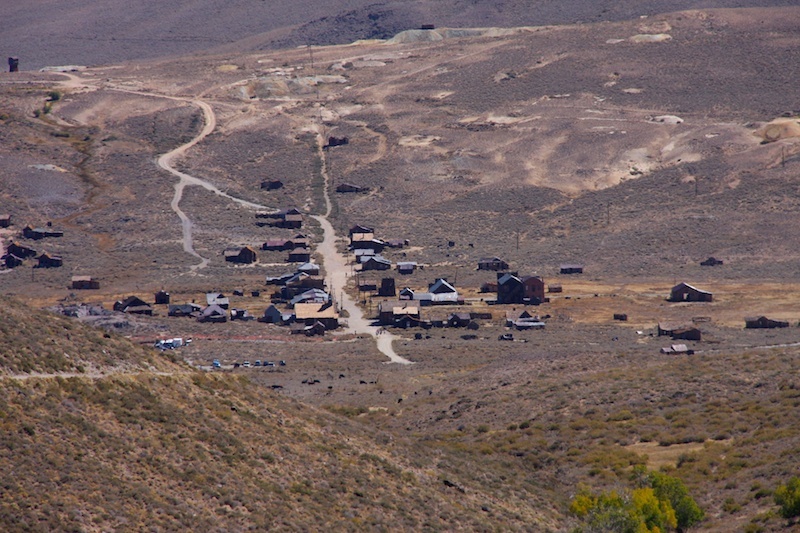 Site of the Bodie Bank. 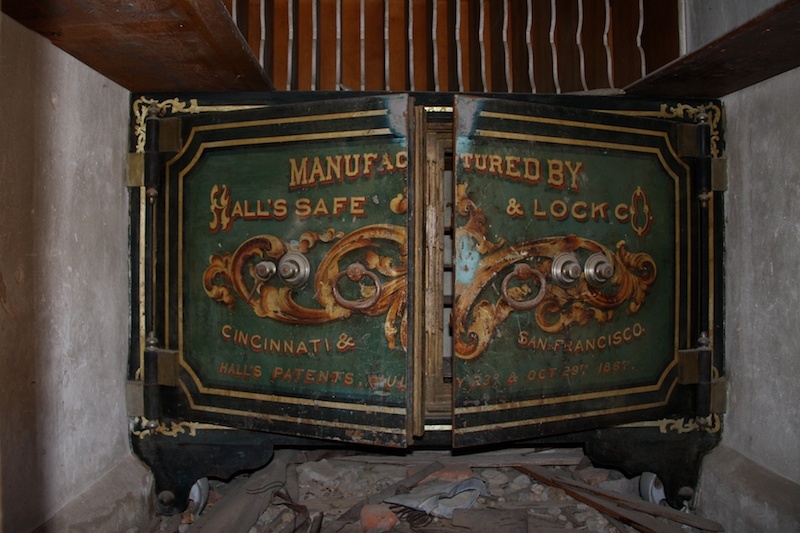 All that remains is the vault, the structure burned in 1932. Ruins of a stone warehouse. 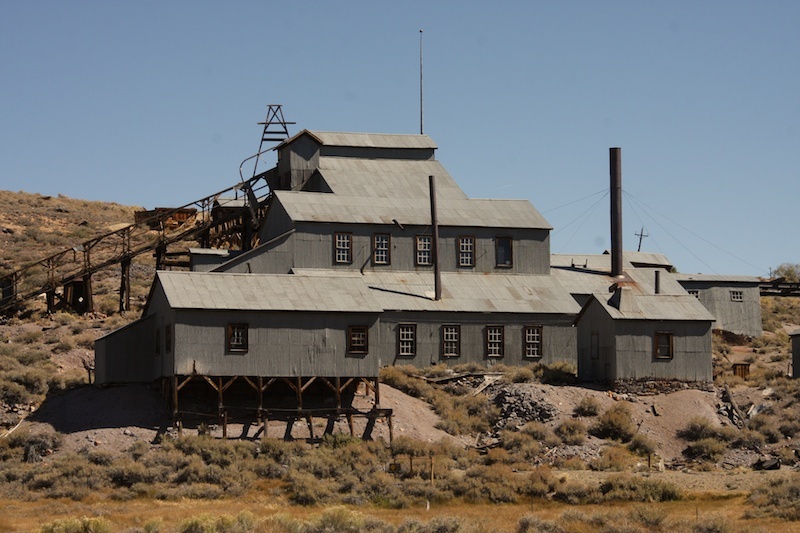 The Standard Mine and Mill. 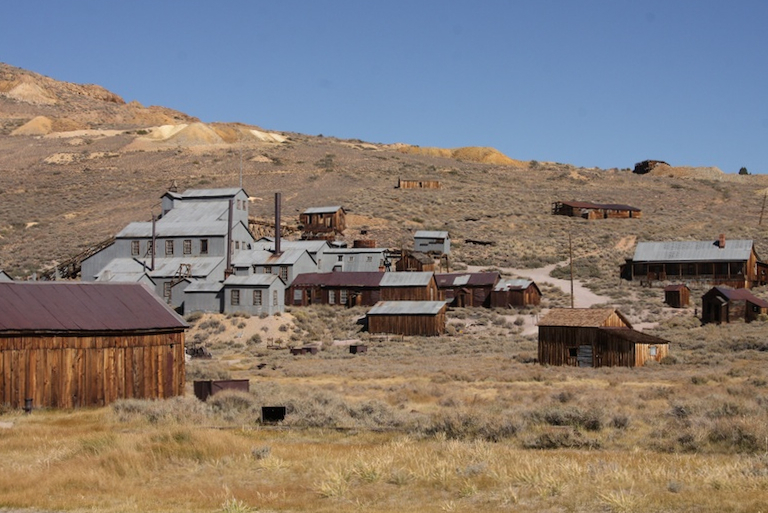 Its success caused the 1878 rush and within a year, the population rose from about 20 miners to 10,000. The mill last operated in 1938. It had produced nearly $100 million in gold and silver during it's lifespan. 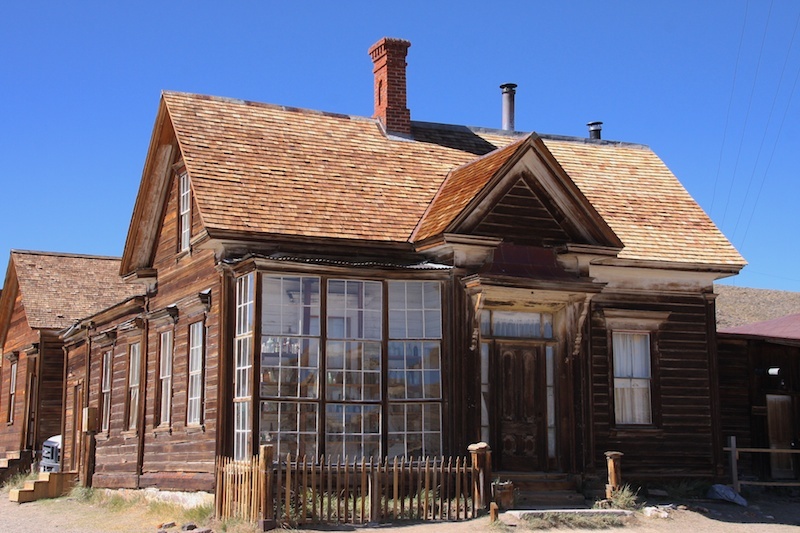 The 1st school house burned down by an early-day juvenile delinquent, so it moved to this location, originally the Bon Ton Lodging house, which was built in 1879. 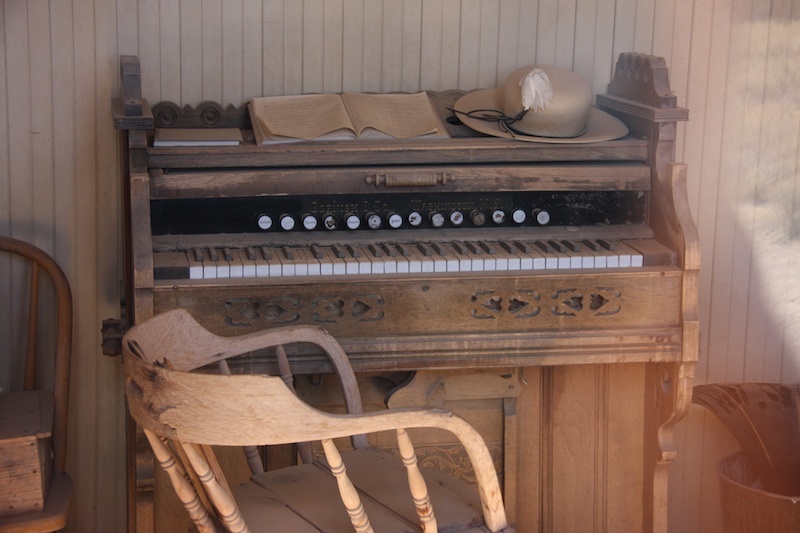 Piano inside the school house. A peak inside the morgue. 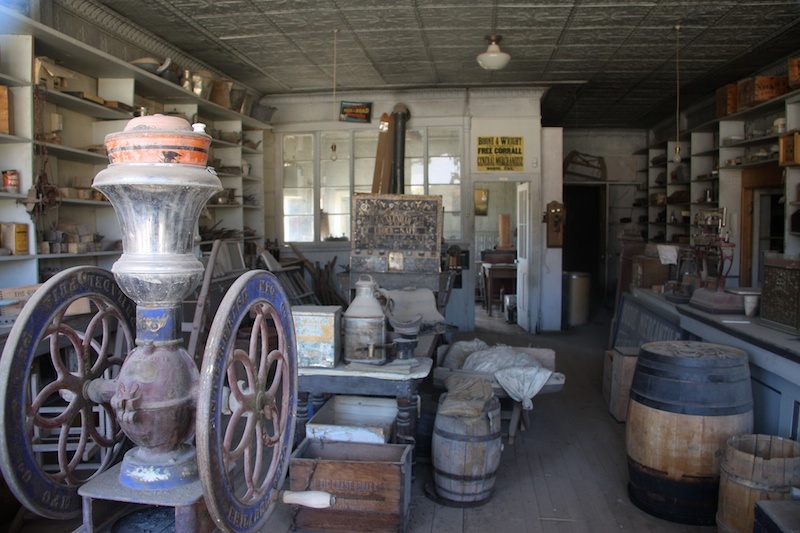 Looking inside the general store and warehouse. Owned by Harvey Boone, a direct descendant of Daniel Boone. 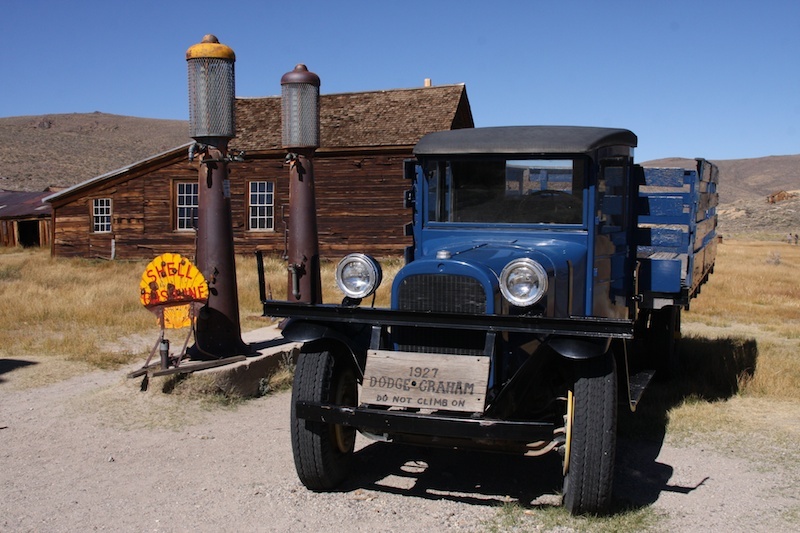 Gasoline pumps in front of the general store. 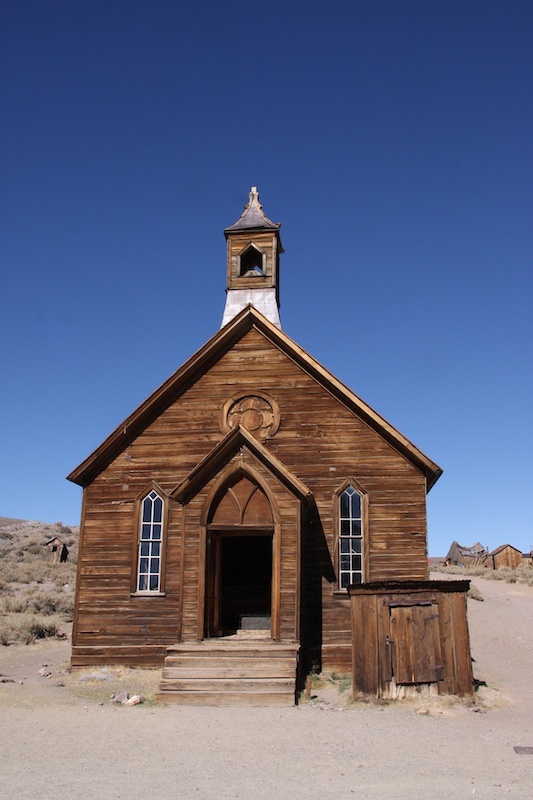 During its peak, there were over 2000 buildings buildings in Bodie. 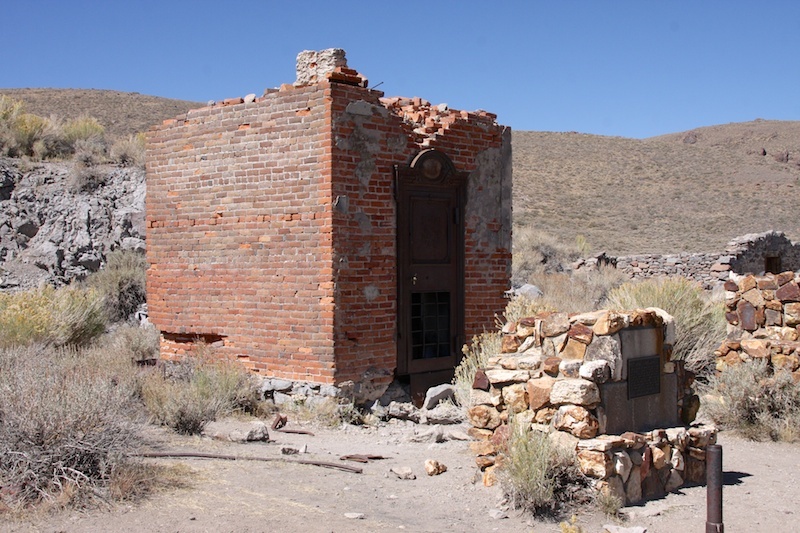 When it became a State Park in 1962, less than 175 buildings remained. 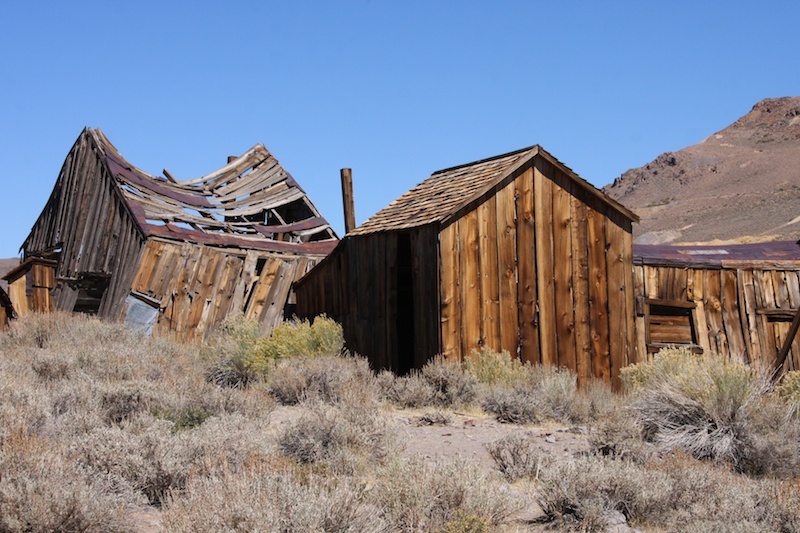 I found this image on Bodie's wikipedia page. Additionally, I got most of my information from the pamphlet they gave us when we the State Park. thank you for this comprehensive documentation. how far is this from your cabin? WOW what a marvellous place. I love the photos you took. Wonderful colours, the greys and the browns and the dustiness, wish I could go there!